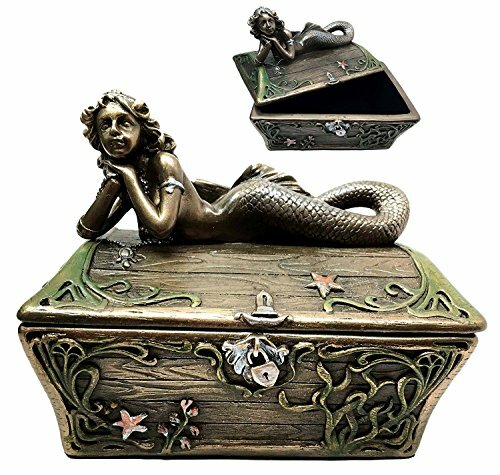 Gorgeous, unique and astoundingly designed, this lovely and one of a kind mermaid jewelry box is by far one of the most amazing ways in which you could display and store all your precious jewelry products! 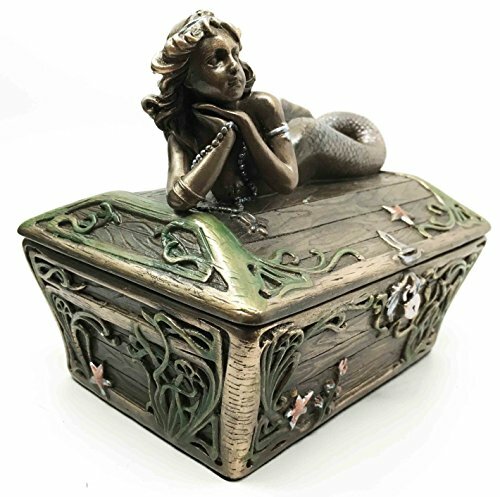 The box has got an impressive mermaid figurine and design so it will definitely stand out anywhere you keep it! It is made out of strong and durable composite resin so it will be resilient in time as well. It’s got a lovely rustic brown color and it has also been completely painted by hand as well! 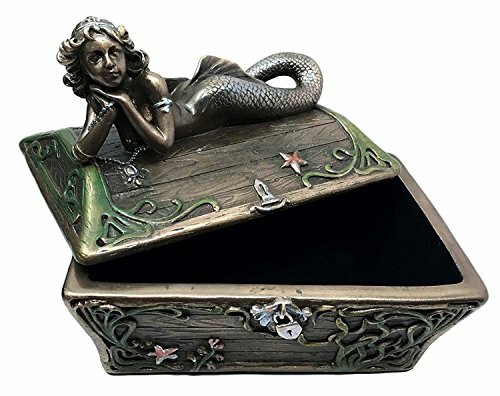 There are wonderful sea shells and vines patterns beautifully decorating the surface of the box and it is also equipped with a sturdy lock that will better secure all your belongings too. The interior is spacious and accommodating and it will readily store and display all kinds of pieces of jewelry without a problem, no matter their size! 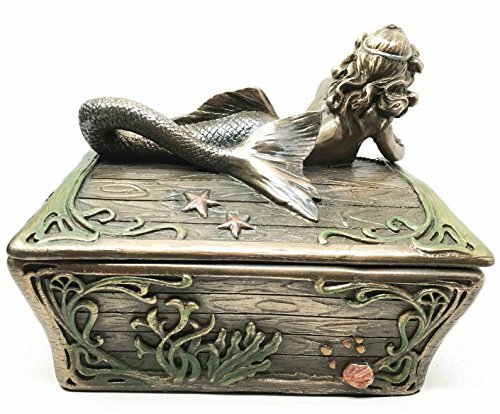 This impressive and gorgeous little mermaid jewelry box is one of the most amazing and elegant ways in which you could store and display all your beloved pieces of jewelry and everyone will definitely admire it! It is stylish, chic and attractive and it will provide a most efficient and professional display and storage of all your jewelry, so we strongly recommend that you purchase this amazing piece of craftsmanship and you won’t regret it! The overall dimensions of this lovely jewelry box are the following: 5.25″ tall, 6.5″ long and 4.75″ wide and its weight is 2.63 pounds.